John Sidney McCain of Ireland or John McCann of Scotland? Editor's comments are in RED! 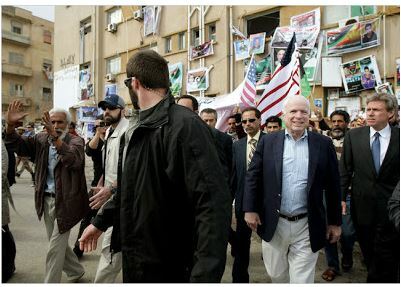 Even as McCain deceived the world with his comments in pursuit of overthrowing and destroying the sovereign nation-state of Libya, it was already a matter of record, according to America's own West Point Combating Terrorism Center, that Benghazi, and much of eastern Libya known as Cyrenaica, served as an epicenter for global Al Qaeda recruitment. Militants hailing from the eastern region's Libyan Islamic Fighting Group (LIFG) would end up in both Afghanistan and Iraq fighting Western troops and participating in sectarian violence. This included LIFG leader Abdul Hakim Belhaj aka Abdul Hakim Hasadi, who first fought alongside the CIA against the Soviets in Afghanistan, then against US and British troops before eventually being captured by the US and handed over to Qaddafi who imprisoned him for 7 years. Upon his release, he would promptly be sponsored by NATO and the likes of John McCain, given arms, money, and training just as he was by the CIA during the Soviet Afghan-invasion, with the addition of NATO close air support in his bid to overthrow the Libyan government. McCain can't plead ignorance - international news has covered Al Qaeda's involvement in Libya, and now in Syria for well over a year. It was never going to work, Chuck Hagel with Obama and Dempsey fighting ISIS on one side and John McCain, “founding father” of ISIS, ties to organized crime and a long record of treason during and after the Vietnam War as Chairman of the Senate Armed Services Committee.Today, Secretary of Defense Chuck Hagel, is resigning. The reasons given, as usual, are silly, “personal issues.” In a day or two, a rumor will come out, it usually does, often however, it is just as false. We wanted Hagel to stay but we also wanted him to go much further than Obama would allow. Still, there have been mass firings, removing much of the incompetence and treason within the military but those who have worked in and around the Pentagon know how thoroughly Bush cleansed America’s defense community of the capable and trustworthy. 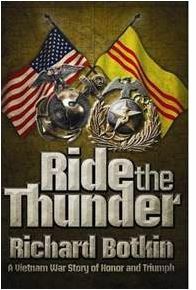 Richard Botkin tells the amazing true story of the remarkable collaboration between U.S. Marine Capt. John Ripley and South Vietnamese Marine Maj. Le Ba Binh. In the process, he vigorously dispels the notion that the military situation in Vietnam was lost, even as American war correspondents and policy makers were surrendering to the winds of political and economic pressure. In the prime of their youth, the two noted warriors were inspired by their fathers to fight for their country’s freedom – one American, Capt. John Ripley, and the other South Vietnamese, Maj. Le Ba Binh. Their destinies would collide in Vietnam. Anyone who pays attention to politics in the United States knows about billionaire financier George Soros. It seems that George Soros is behind all manner of attempts to destroy the unique freedoms enjoyed by Americans including the Second Amendment right to keep and bear arms and our right to free political speech. It appears that if McCain is a hero or not upon close examination, Senator John McCain and his various efforts are funded by a number of George Soros' shadowy organizations. NEW YORK – Though he immediately backtracked, presidential candidate Donald Trump reopened the controversy over Sen. John McCain’s service during the Vietnam War and his subsequent handling of the post-war POW issue by questioning whether the Arizona Republican should be regarded as a hero. McCain, whose father and grandfather were four-star Navy admirals, has been commended throughout his career in the Senate for enduring five-and-a-half years in the infamous “Hanoi Hilton” prison in North Vietnam. 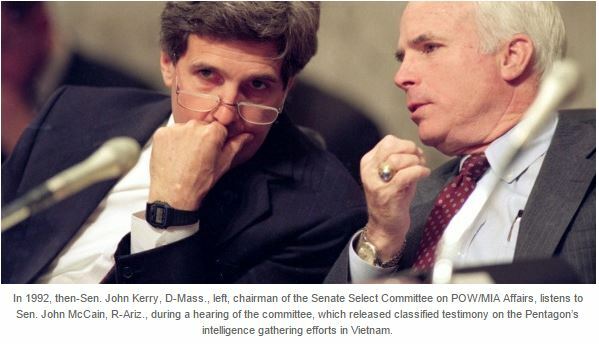 But various critics, including Pulitzer-Prize winning journalist Sydney H. Schanberg, have charged that McCain, working with fellow Vietnam veteran and then-Sen. John F. Kerry, D-Mass., suppressed information about POWs believed to have been left behind by the U.S. government at the end of the Vietnam War. “Throughout his Senate career, McCain has quietly sponsored and pushed into federal law a set of prohibitions that keep the most revealing information about these men buried as classified documents,” Schanberg wrote. “Thus the war hero who people would logically imagine as a determined crusader for the interests of POWs and their families became instead the strange champion of hiding the evidence and closing the books,” he concluded. “He was a war hero because he was captured. I like people who weren’t captured,” Trump said. Speaking to reporters afterward, Trump denied saying that McCain isn’t a war hero.